Rebecca Flavin is Global Chief Experience Design Officer at OgilvyRED, and is responsible for driving the vision and strategic growth of Ogilvy’s digital platform and experience design business, as well as providing leadership and guidance for our global customers. With over 20 years of digital experience, Flavin takes a human-centered and data driven design approach to help clients innovate on brand and customer experience. Prior to OgilvyRED, Flavin served as the Chief Executive Officer of Effective, an experience agency acquired by Ogilvy, helping to evolve their experience capabilities and services in several markets. She also served on the Global Board of Directors for SoDA, the Digital Society, helping to establish best practices and standards within the industry. Flavin has held senior leadership positions with Return Path, Double Click, Merkle and K/P Corporation, and began her career with Saatchi & Saatchi. She has also led many key corporate development and M&A initiatives as well as cultivated outcome based strategic partnerships and alliances. 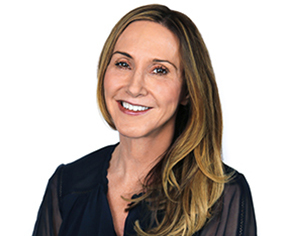 Over the course of her career, Flavin has helped C-Suite executives harness the power of data, customer insights, design and technology to drive growth and create more meaningful connections with their customers and employees. She has worked across various industries, including financial services, healthcare, technology, retail, aerospace, publishing and industrial. Increasingly, brand perception and equity are being driven by customer experience, and quite often companies’ digital touch points don’t fulfill on their brand promise. Leveraging design thinking as a strategic framework, Flavin helps clients not only create exceptional experiences and products, but also drive digital and customer-led transformation. She has worked closely with ambitious innovators, brand and customer experience leaders across various industries, including financial services, healthcare, travel, publishing, technology and retail. Flavin received her B.A. from California State University, Chico with a double major in Communications and Journalism. In her free time, Rebecca enjoys yoga, hiking, mixed martial arts and studying indigenous cultures and history.